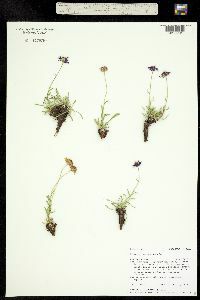 Perennials, 5-25 cm; taprooted, caudices with relatively short, thick branches, often retaining old leaf bases. 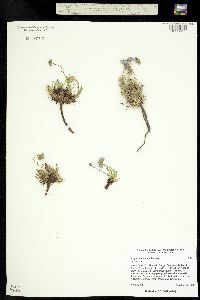 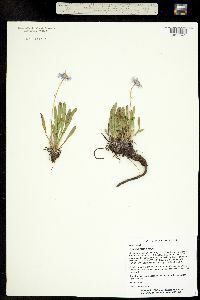 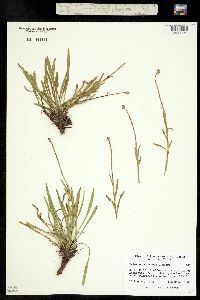 Stems erect, glabrous or sparsely hirsute to villous, densely glandular. 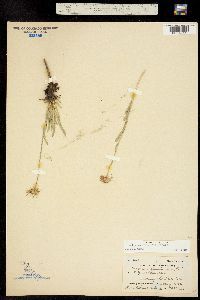 Leaves basal (persistent) and cauline (petioles prominently ciliate, hairs spreading, thick-based); blades linear to narrowly oblanceolate, 20-90(-150) × 2-4(-7) mm, margins entire, faces glabrous or sparsely hispidulous, minutely glandular; cauline on proximal 1 / 3 - 2 / 3 of stems, gradually reduced distally. 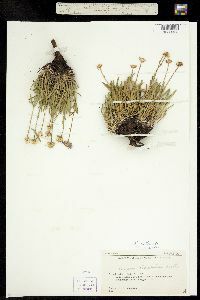 Heads 1. 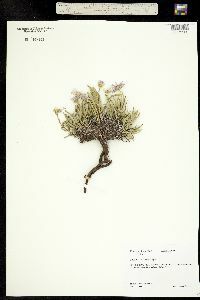 Involucres 4-8 × 7-15 mm. 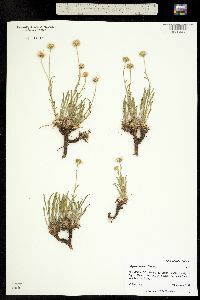 Phyllaries in 3-4 series (midvein region greenish), sparsely to moderately hispid or hispido-villous, minutely and densely glandular. 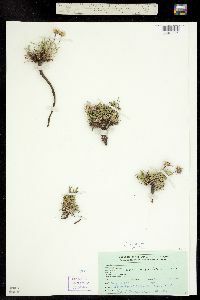 Ray florets 30-90; corollas usually bluish to purplish, sometimes white, drying pinkish, 6-16 mm, laminae reflexing. 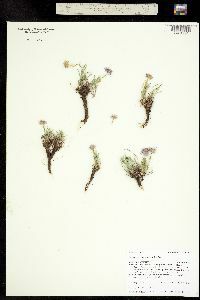 Disc corollas 3.2-5.3 mm (throats tubular). 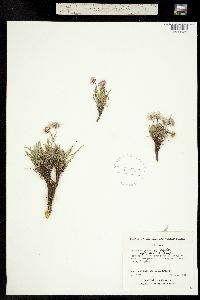 Cypselae 1.8-2.2 mm, 2-nerved, faces sparsely strigose; pappi: outer of inconspicuous, fine setae, inner of 18-25 bristles. 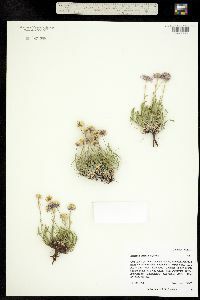 Flowering May-Jul(-Aug). 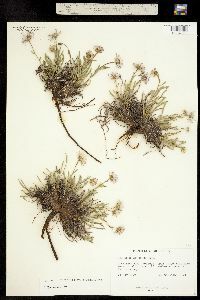 Dry, rocky slopes, roadsides, usually open exposures, ponderosa pine with juniper and/or oak, lodgepole pine, spruce-fir; (1700-)2300-3300 m; Colo., Nebr., N.Mex., Wyo. 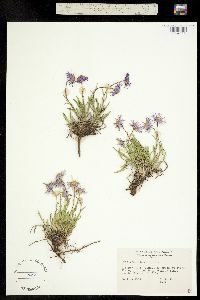 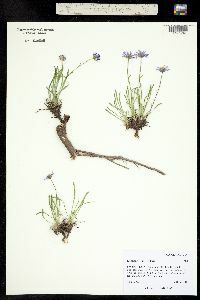 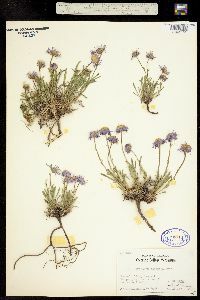 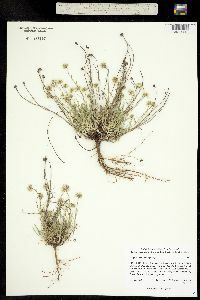 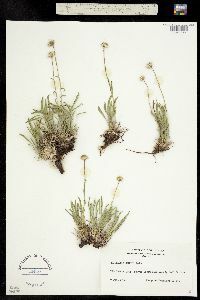 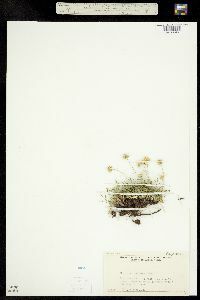 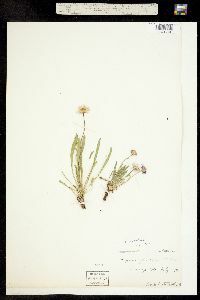 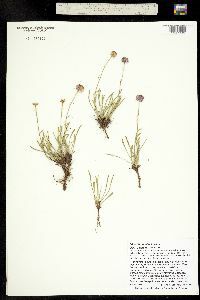 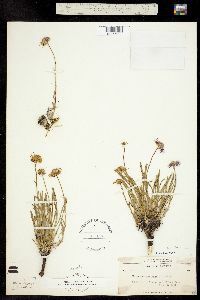 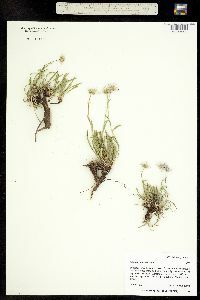 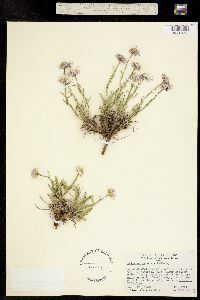 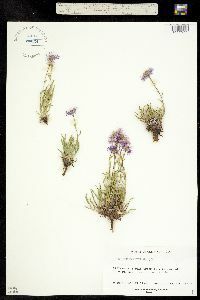 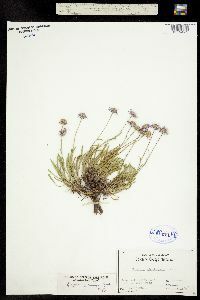 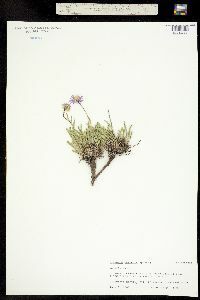 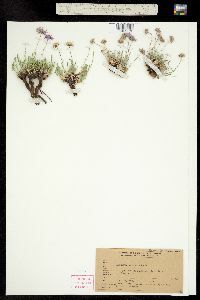 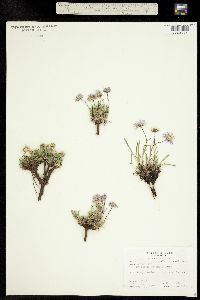 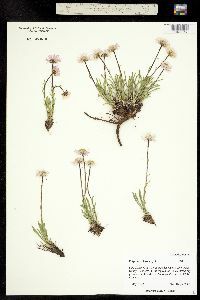 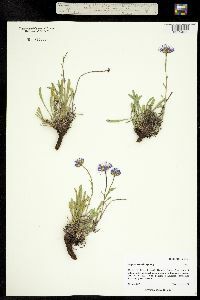 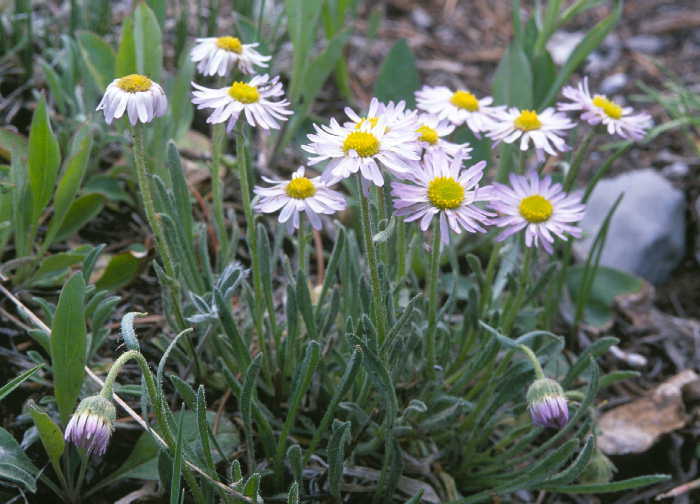 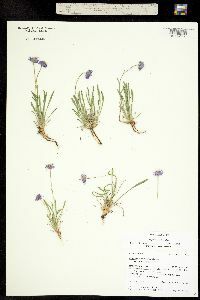 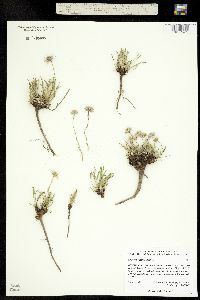 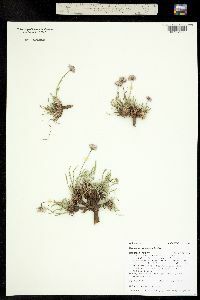 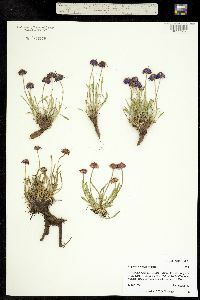 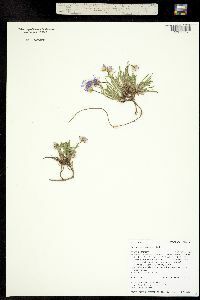 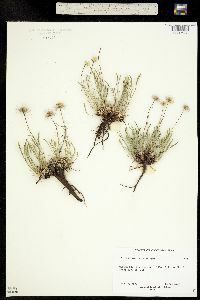 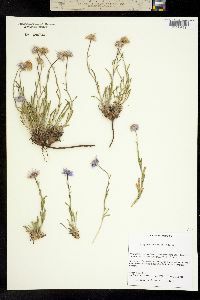 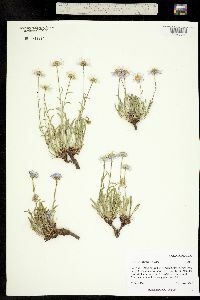 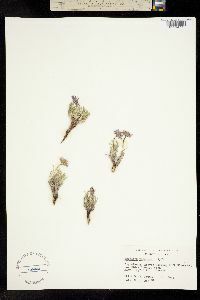 Erigeron vetensis is found in the Rocky Mountains.